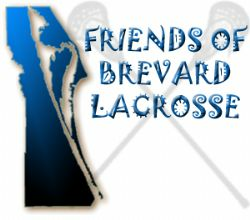 A coalition of parent representatives from Eau Gallie, Merritt Island, Satellite, Viera and West Shore High School formed Friends of Brevard Lacrosse (FBL). FBL is a 501c3 non-profit organization which was established last month. FBL's mission is to raise awareness, funds, and interest to support the ongoing development of the sport of lacrosse in the Brevard County Public High Schools. The youth feeder system for Viera High School is the Viera Suntree Lacrosse Club, a 501(c)(3) non-profit organization, promoting youth lacrosse in Viera, Suntree, Rockledge, and Melbourne. Our mission is to give kids an opportunity to experience one of the oldest team sports in America, not to mention one of the fastest growing as well. We emphasize teaching the proper fundamentals along with good sportsmanship and team play.